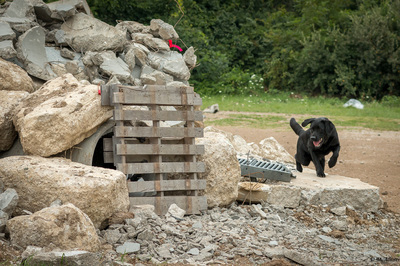 Disaster First Responder dogs perform similar functions as a Disaster dog, with the primary difference being that these dogs are most commonly trained as Wilderness/Area Search dogs but have the additional training and testing for suitability searching on disaster debris and in disaster scenarios. These dogs may locate live or deceased human odor and may perform a bark alert or a recall-refind alert. 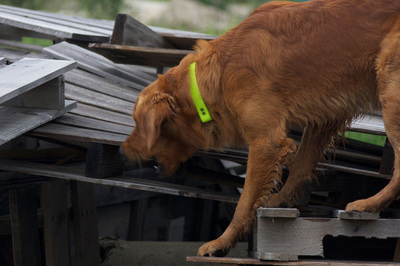 A benefit of the Disaster First Responder dog team is that they are often able to respond more quickly to a local disaster as they are members of local teams that have already established deployment relationships with local authorities.